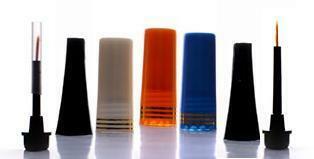 We are an eminent organization that is engaged in manufacturing, supplying and exporting Nail Polish Caps & Brushes. Precisely designed, these products are manufactured under the strict supervision of qualified professionals, who have years of experience in this domain. We also provide on-time delivery of all the products at customers’ end. Minimum Order Requirement 10,000 Pcs. S. K. Exports, incepted in the year 2009, is known to be amongst the leading manufacturers, exporters and suppliers of this highly commendable and diverse range of Nail Polish & Perfume Bottles. Manufacturing of this range is done as per the standards defined by the industry and utilizing the raw materials and modern machines. This ensures the product’s standard of quality. The offered range comprises the finest Nail Polish Bottle Caps, Pharma Bottles and Nail Polish Bottles, which are widely acclaimed and asked for. In addition to this, the offered range is priced quite reasonably. The ultra-modernistic state-of-the-art infrastructure at S. K. Exports, has been equipped with all the necessary machinery and equipment, which facilitates the attainment of several of the firm’s predefined targets. The facility, for reasons of attaining better management of the firm’s operations, has been parted into several highly operational units. For maximization of our productivity and reach in the market, the facility is regularly upgraded. Along with this, the abidance of industry ethics, have helped us in generating a huge and highly reputed client base. We are exporting our quality products all over the globe.